Happy Hump Day my sweets! It is an exciting day over here for sure as it is my first now...or, shall we say, ICE...day! I am enjoying some time to relax in my jammies and get things done today! If you recall, one of the last remaining details for the sun room was a tray for the coffee table. Once I discovered this one, no other tray had a chance! I was head over heels! When my parents surprised me with it for Christmas I was beyond giddy! It is from one of my all time fave shops, Furbish, however the pink version is no longer available online. It is available in a very chic gray (here) and also black (here). I loved the first look, but thought it felt a little bare. 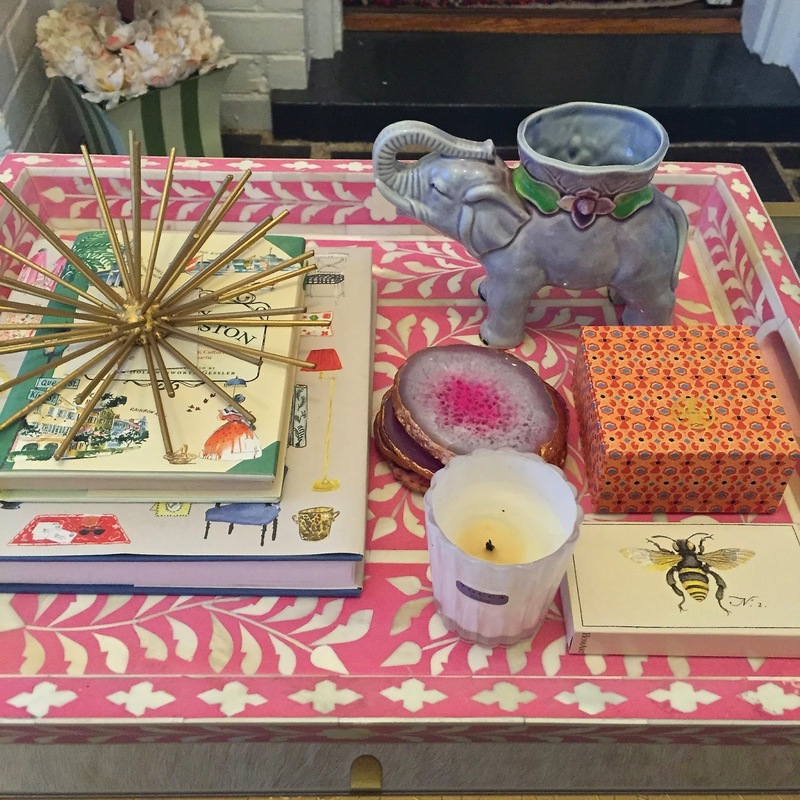 as well as my favorite Tocca candle and bee matches. I put larger floating candles in them to make a bit more of a statement. Decided flowers were the perfect finishing touch! Gold Urchin (you may remember my affinity for them from this post), on sale for just $7 at Hobby Lobby! 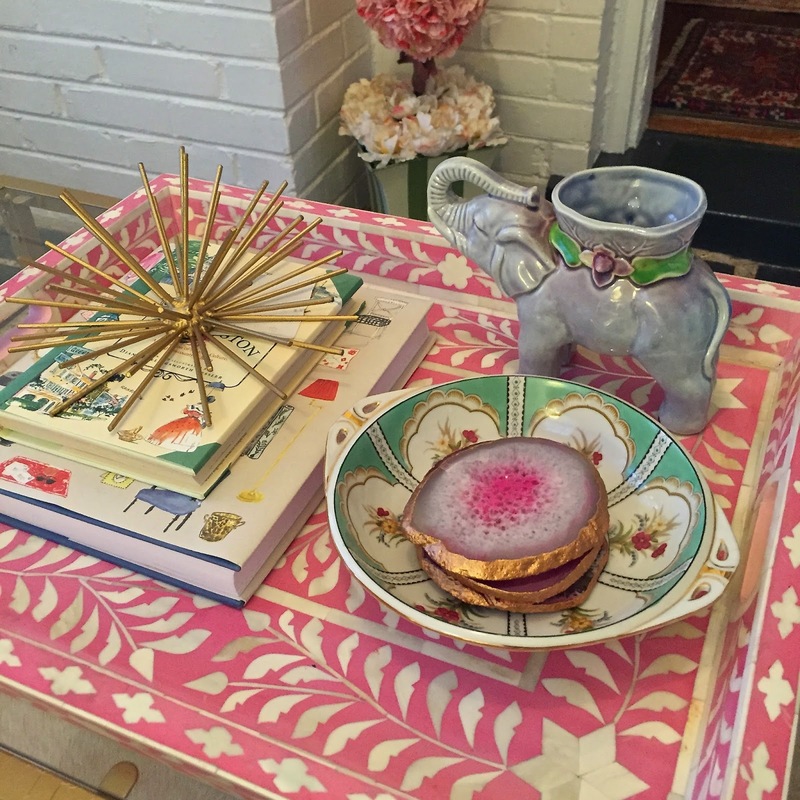 Do you have a styled coffee table or is yours more for utility? What are your favorite aspects of decorating? Love the elephant vase...my daughter loves elephants...we have quite a collection at our house. Also, I may be heading over to Hobby Lobby for that urchin! $7 is a steal. Did you get it here in Richmond? Enjoy your "ice" day! Love how you've styled it! 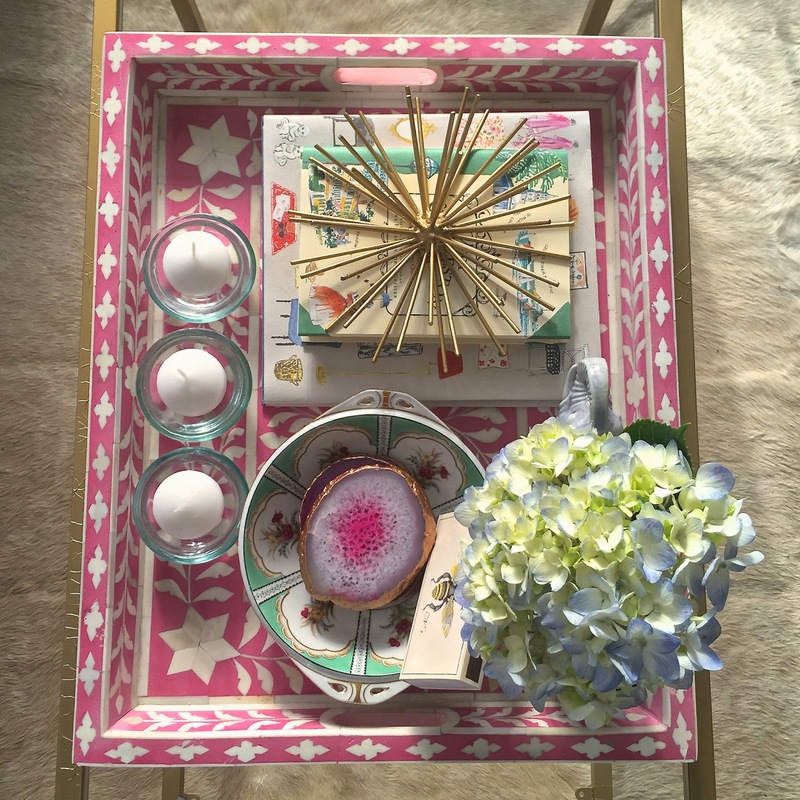 I love that pink tray, I wish had ordered one while they were in stock! Just love that tray! I am always taking notes since our apartment is not that decorated yet. I'm looking forward to decorating our house later this year!!! Very chic my friend! 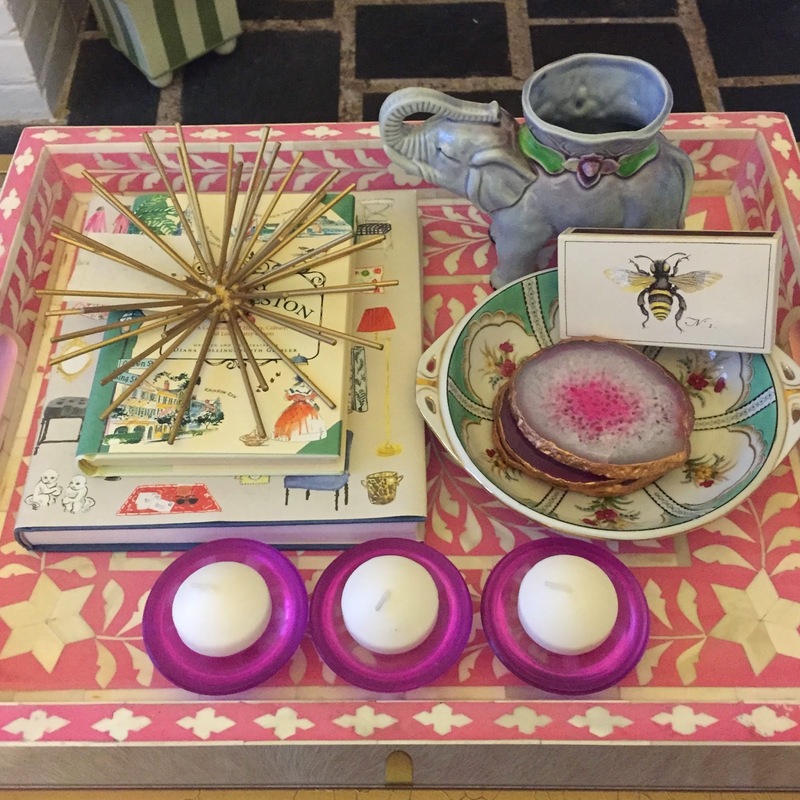 I love finding things in my own home to dress up a table! 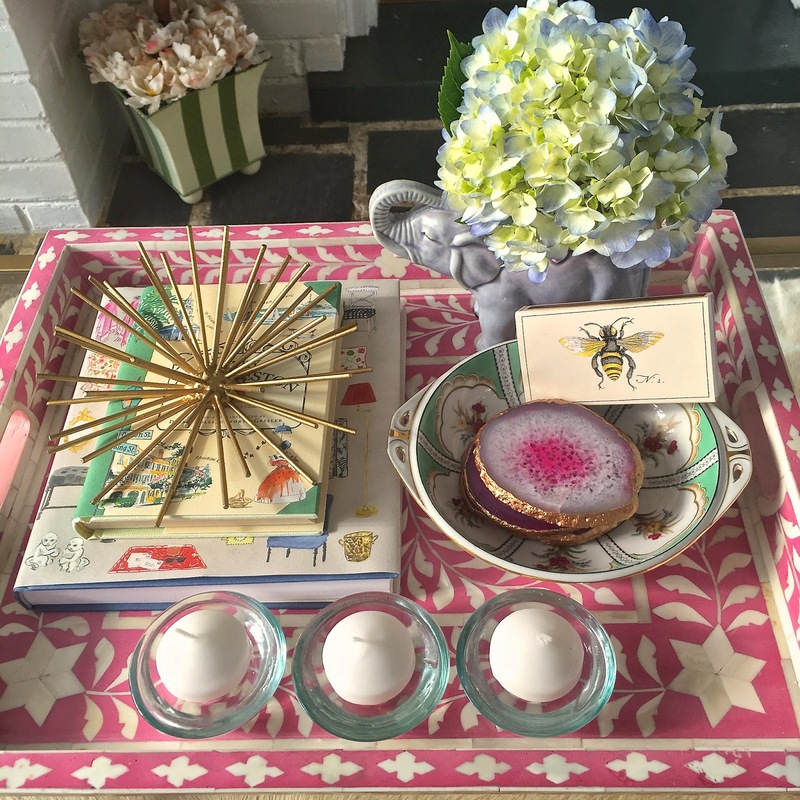 LOVE everything about the way you styled it..the tray, the vase, gold urchin, etc! Good job! I love the Very Charleston book! 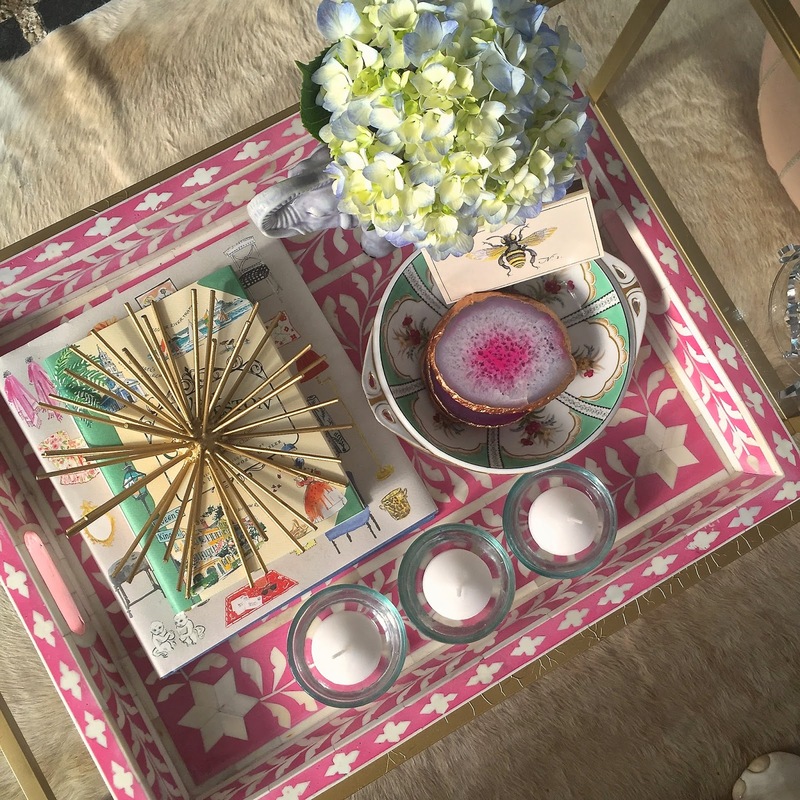 You made that cute pink tray even cuter and it turned out just perfectly! It looks great! I really love those coasters! I always find myself walking all over the house looking for knick knacks to move around and style also. 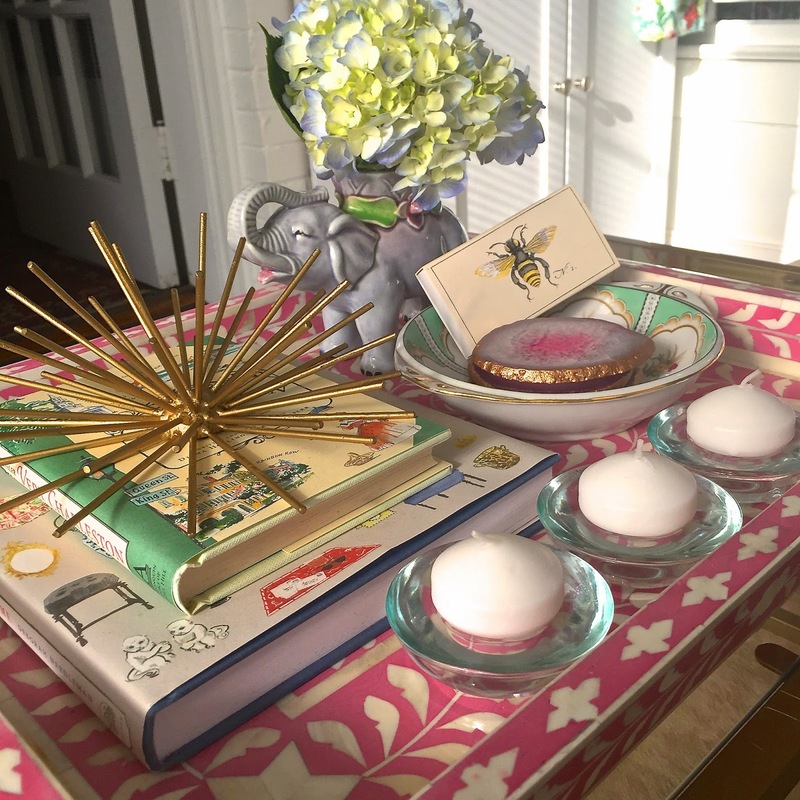 It's like a grown up treasure hunt(: Your tray is darling! That is THE most gorgeous tray! I love the pink, so sad it's sold out. And I do the same thing while "styling" - I go shopping through my house, haha! Your tray looks amazing!! Thanks for a peek into your process- I am struggling with a bare tray on my coffee table too. This has inspired me to take another shot at it! Beautifully styled!! 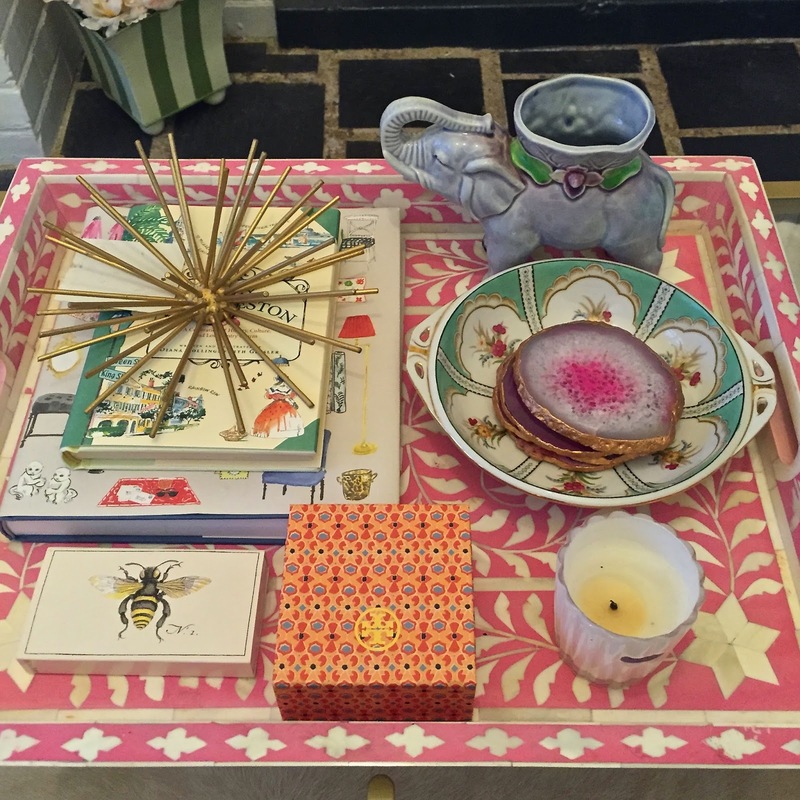 Love that tray! !